I had a hard pregnancy. I know, some people looooove it. They feel glowy, heck, they are glowy. They don’t get sick, they don’t gain a ton of weight, they aren’t stressed, or in pain, or sad, or scared, or any of the stuff I remember being during one of my pregnancies. It’s like they were made to procreate. And then, there are the rest of us -experiencing varying shades of horror at the hands of a human interloper. Back pains, hip pains, excessive vomiting, excessive pooping, the inability to poop at all. Migraines, heartburn, swollen ankles, swollen feet, swollen hands, swollen EVERYTHING. Farting, burping, gas, bloating, hemorrhoids. Take stock in Preparation-H, then you won’t feel so badly for buying so much. High blood pressure, high blood sugar, low blood sugar, weight gain, acne, backne, this weird darkening of the skin on your face and neck, hirsutism. Don’t know what that is? So basically, growing a moustache. And possibly a beard to match. So many things that no woman wants. A beautiful, innocent, lovely little human baby that you get to love and cherish for years to come. But that doesn’t mean you don’t get down, especially when it is 3am and you’re up because you sweated through your pajamas and then the heartburn kicked in and the hip pain that no body pillow will relieve, amped up. Don’t beat yourself up about it -it’s hard to stay positive when you’re having a hard pregnancy, and you’ll still be a great mom. You just need a little help getting from point omg-I’m-pregnant to point say-hello-to-your-little-baby! From your partner, a friend, you medical practitioner. If you are feeling exhausted or overwhelmed you need to reach out. And remember, there’s no shame in asking for help. In fact, it often takes a stronger person to admit they need it. Now, more than ever, you need to put your personal health and wellness first. You’re not just fueling up for you, you’re doing it for your baby. We know it can be struggle to take time out of your day to rest, especially if you have a bust work schedule or other children to care for, but it needs to be a priority. Call in sick to work, ask your BFF to come sit with your toddler for an hour, and catch up on some self-care. It can truly make your day and help you get one step closer to delivery day. It is 10 months. Ten. It seems like an eternity, but think about all of the tough things you have already done successfully for ten months (endured a horrible boss, dealt with a tough year at school, survived a deployment, lived in that gross apartment with the terrible landlord) -none of those ended with an awesome baby to love! Perspective is important when facing challenges, particularly those that are physically and simultaneously, emotionally draining. When you find yourself getting down in the dumps, find something positive about your new life with your new baby to focus on instead. There are a lot of exciting things to look forward to! And, when it’s all said and done, you don’t want to look back on your pregnancy and only have terrible memories. And then celebrate when you reach them. If you wake up in the morning and the hardest thing you can think about is the end of your work day, set your goal on making it to that point and then celebrate with a nap! When you’re pregnant, it’s hard not to think about the end -making it to delivery day. But that can be draining because it truly does feel like forever away. Instead, focus on daily or weekly goals. They will come more quickly and give you something more immediate to look forward to. We know how isolating pregnancy and new motherhood can be for some women. 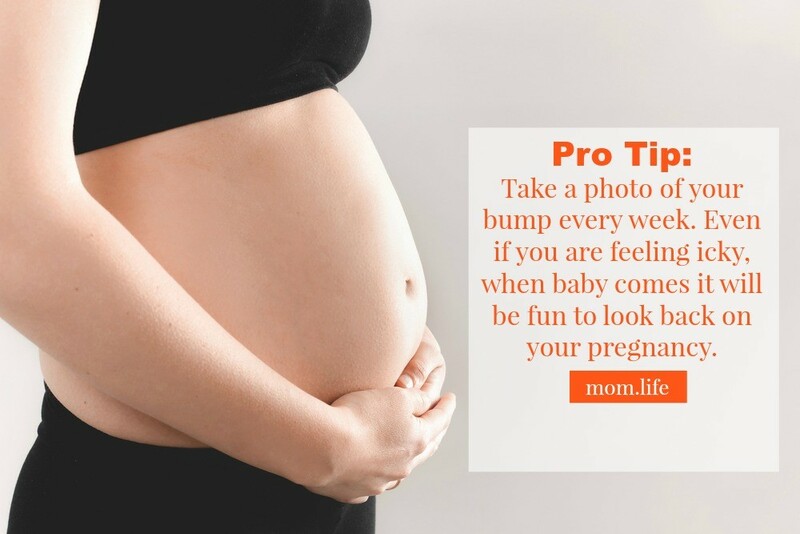 If you’re a younger mom, many of your friends may not be pregnant yet and, therefore, unable to understand your new life. For military spouses who have moved to a new place, you may be isolated from family and friends. Others are facing similar struggles. That’s why so many women love the mom.life app. It is safe place for pregnant women and moms to connect with others experiencing the same things as them. Download it, post, find your tribe. Read More: Still freaked out? 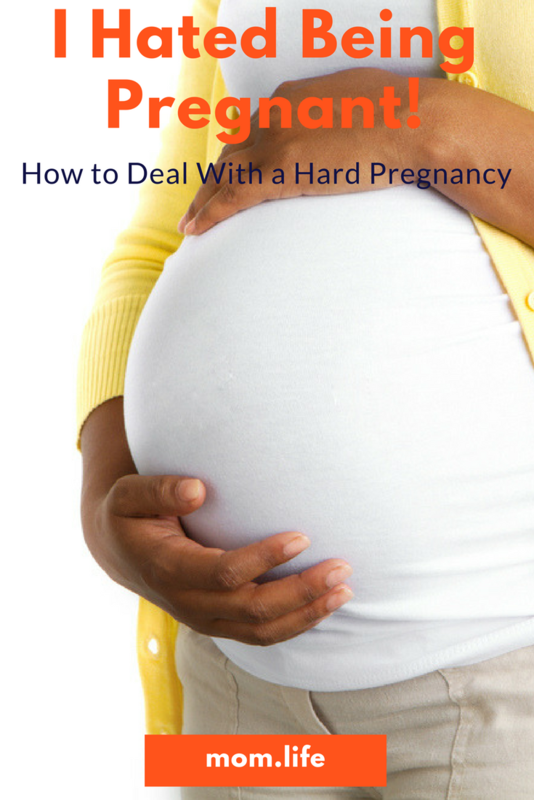 These pregnancy resources might help.